So it probably seems like day 2 of our trip is never going to end. And believe me there was a point that I thought that too long about midnight when I still had another mile to run. 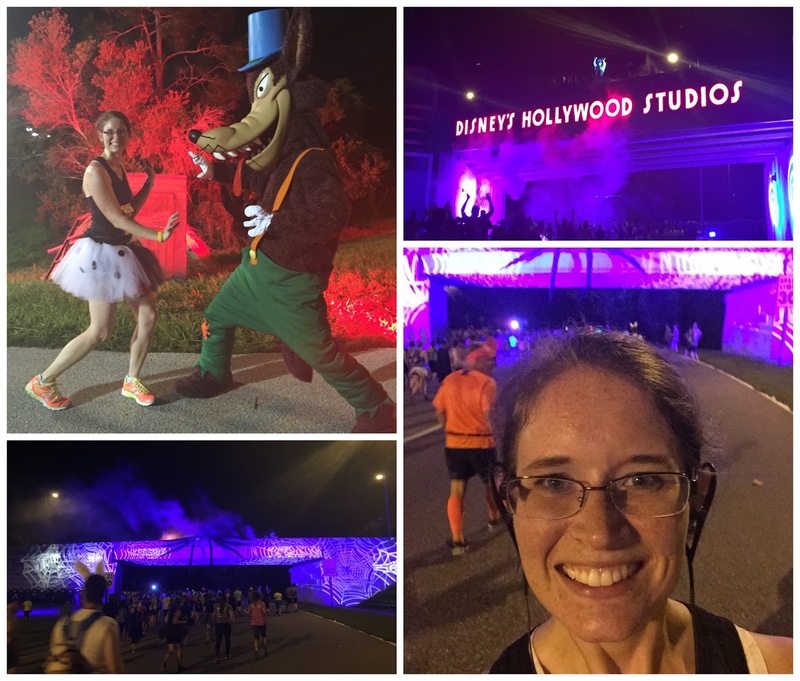 The runDisney Tower of Terror 10 mile race started at 10 pm just outside of Hollywood Studios. 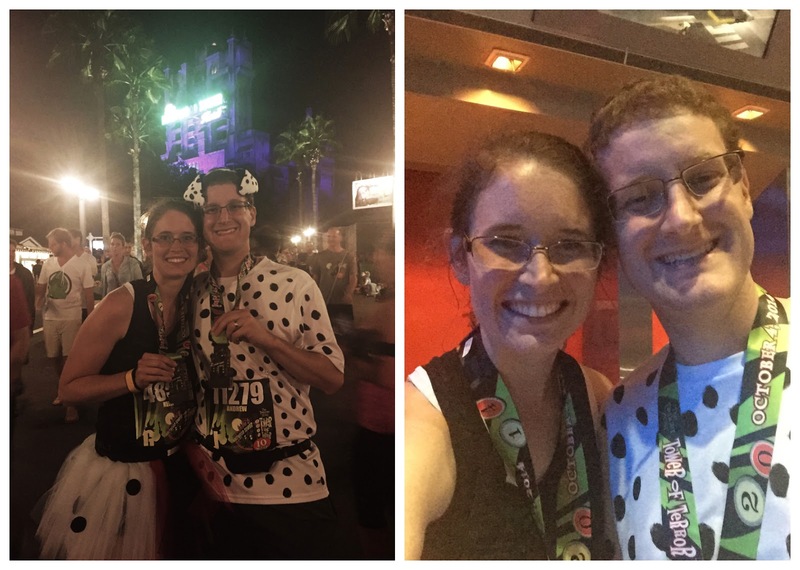 The course took you down highways, to the Animal Kingdom entrance, through the ESPN sports complex, and back and through Hollywood Studios ending right in front of the Tower of Terror. We got ready over at Emily and Matt's resort, All Star Sports and gathered for some pre-race photos before heading out. You have to get there so early before the race actually starts so we had lots of time to just hang out and talk. They had a DJ and dancing which helped pass the time. At 9 pm we all separated into our respective start corrals and the race started promptly at 10. Matt, Emily, Andrew and I all got to run. Emily ran with her friend and running partner Paige. Matt and Andrew started together back in the last corral because neither had submitted a 10K time with their registration. I was somewhere in between them. 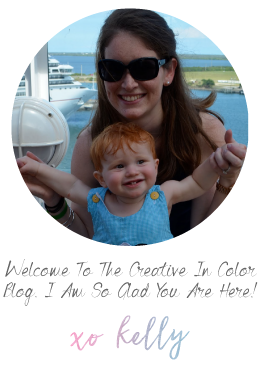 I didn't mind running on my own one bit so that I could set my own pace. They moved between corrals really quickly, just 2 minutes between start times so really we were all not too far from one another out on the course. They make every corral feel just as special as the elite runners in corral A with a firework send off each time. 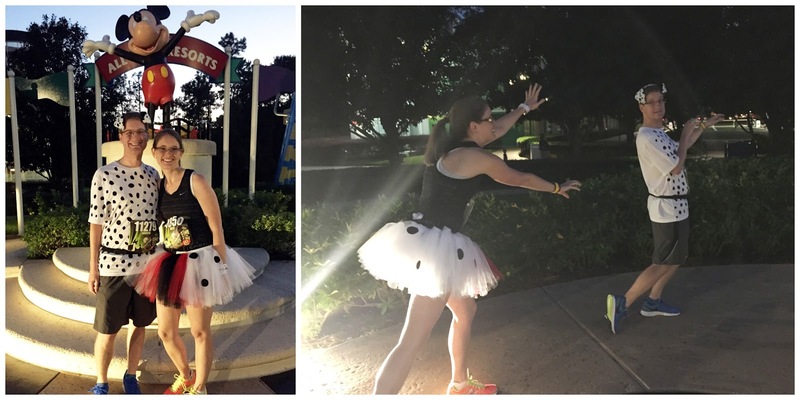 I was not nearly as well trained as I was for the princess half marathon so my goal was really just to finish and have fun. I started out really well and ran the first two miles at about a 10:30 pace then I slowed down significantly and did running and walking intervals the rest of the way and stopped just twice for a quick picture with a character. My picture with captain hook turned out terribly, but I like the one with the big bad wolf. 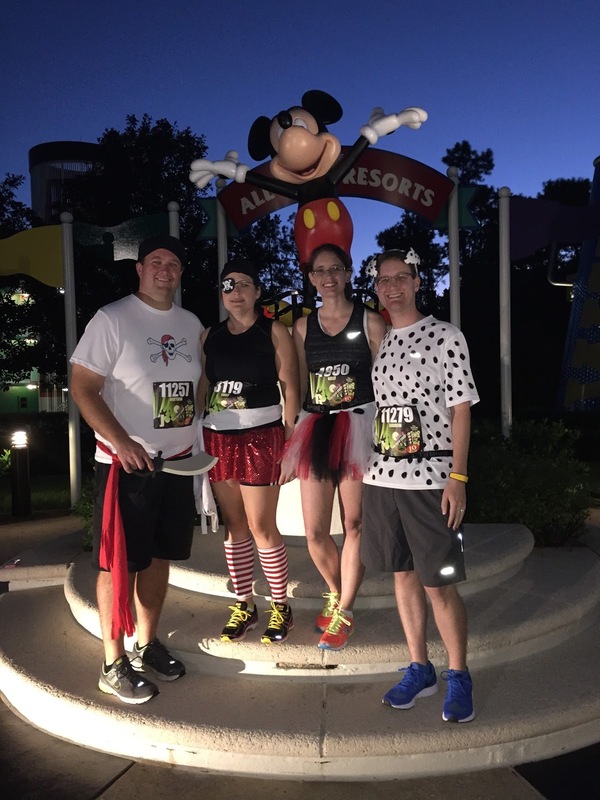 All the characters out on the course were Disney villains which was really fun to run by. After the race we all met up to debrief, rest a few minutes and congratulate one another. The finisher medals are super cool and glow in the dark. Everyone else promptly headed back to the hotel for showers and bed. 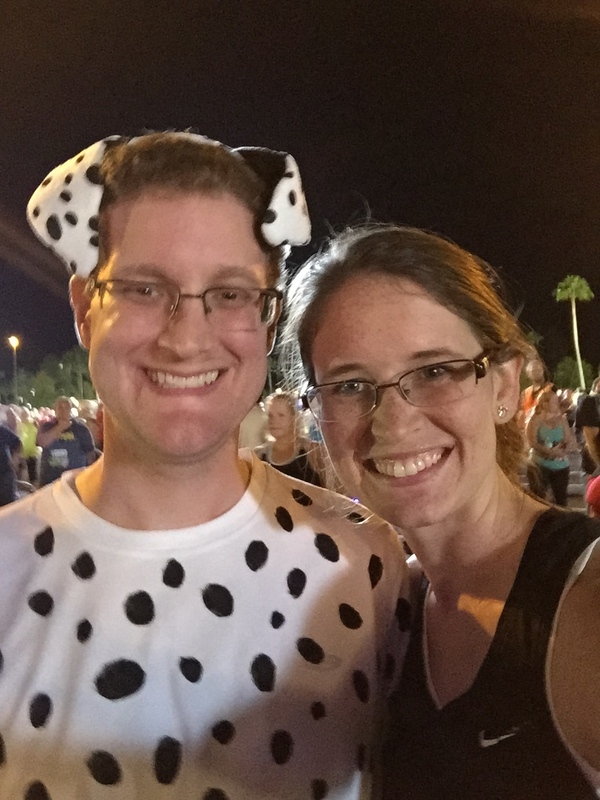 Andrew and I stayed at the after party in Hollywood Studios for a little while. We went and rode Star Tours which had no line. 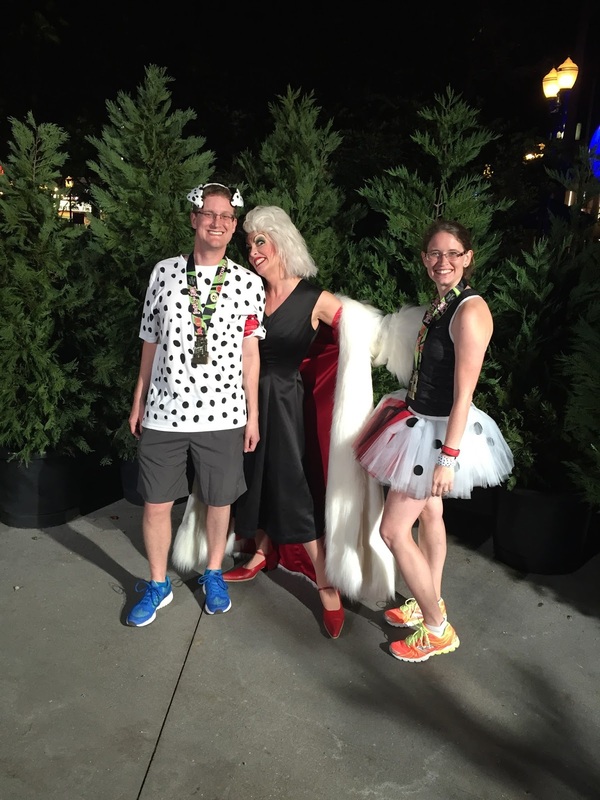 Then we had to go find Cruella for a photo since she wasn't out on the course. She was so fun to meet...and played around trying to fight me for Andrew the dalmatian. It was probably about 2 when we left the studios and headed back to Emily and Matt's hotel to shower and sleep a few hours before we were all up to go meet the rest of our family at Animal Kingdom the next morning. Needlesstosay we slept very well.